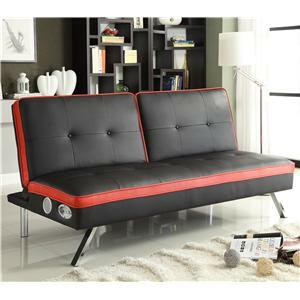 Great as a starter piece and for more intimate spaces, this futon will surely add function and versatility to your home. The 8" pocket coil mattress and two matching accent pillows provides comfort for guests and friends. 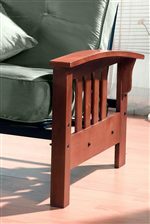 Gently curved oak arms offer support. At night, simply fold this futon down to double as a bed. 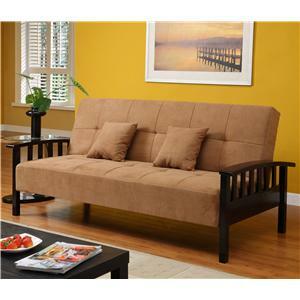 Enjoy this simple and casual futon in your home. The Tulsa Sleeper Futon with Oak Arms by Primo International at Nassau Furniture and Mattress in the Long Island, Hempstead, Queens, Brooklyn, Bronx, Manhattan NY area. Product availability may vary. Contact us for the most current availability on this product. Arm Wide oak arms offer support. Leg or Skirt Accent legs provide support and a casual style to your rooms. 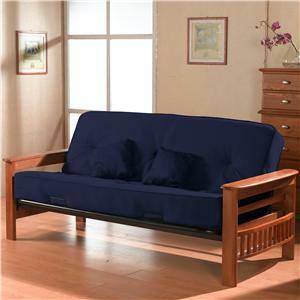 Seat Support 8" pocket coil mattress provides support and comfort for sitting and sleeping activities. 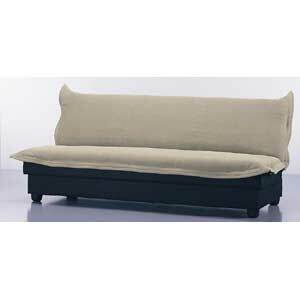 The Tulsa futon is a great additional to any room. 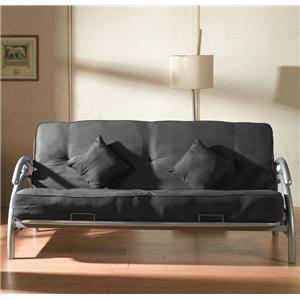 Due to its design, this futon has an advantage over all other furniture with its versatility and functionality. Not only comfortable to sit on but with its 8" pocket coil mattress, this futon also makes a great bed for extra guests and friends. 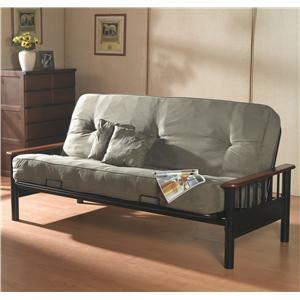 Easy to assemble and break down, you can easily move or store this futon away. 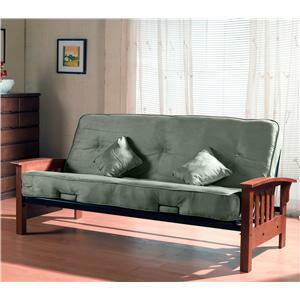 Gently curved oak arms offer maximum comfort. 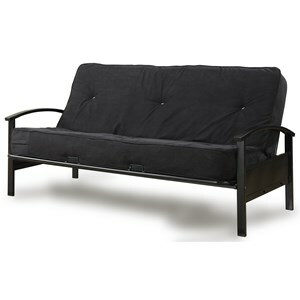 Furnish your home with the Tulsa futon and experience it's casual style and functionality. 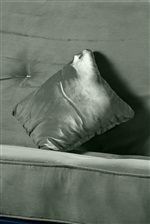 The Tulsa collection is a great option if you are looking for Casual furniture in the Long Island, Hempstead, Queens, Brooklyn, Bronx, Manhattan NY area.